Tiger Woods opened up a two-shot lead at the Arnold Palmer Invitational as a third-round 66 put him on course to regain his world number one ranking. The 37-year-old American will return to the top of the standings for the first time since October 2010 if he wins the event for an eighth time on Sunday. England’s Justin Rose slipped from the top of the leaderboard as he dropped three shots on his last nine holes. John Huh and Rickie Fowler share second with Rose on nine-under overall. A bogey on the ninth was the only blemish to Fowler’s impressive five-under 67 as he revived his claims to the title, after seemingly being out of contention after an opening round 73. But Woods will be the centre of attention on the final day of action at Bay Hill as the 14-time major winner attempts to land a 99th professional win and overtake Rory McIlroy to extend his record total of 623 weeks as world number one in the process. Woods slipped to a career-low ranking of 58 in November 2011 after his form dipped following injury and highly-publicised marriage problems. He has looked somewhere back to his best in securing two victories – in the Farmers Insurance Open and World Golf Championships tournament at Doral – from four events this season. 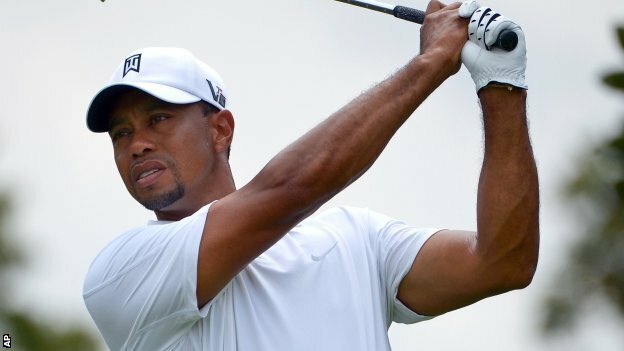 “I played halfway decent and hit a lot of good shots,” Woods told Sky Sports. Woods had begun the day four shots off the leaders after three bogies on the final three holes marred the end of his second round. After his opening drive found a fairway bunker, he rediscovered his form on one of his most successful courses. After holing an 11-foot putt to save par on the first, Wood chalked up five birdies before crowning his round with an eagle three on the par-five 16th. Rose’s round went into reverse after he picked up four shots on the opening four holes. Five bogies, interrupted by a birdie on the par-five 12th, followed as he ended on par for the day. American Bill Haas, who had shared the midway lead with Rose, finished one-over-par and dropped to fifth thanks in part to double-bogey sixes on holes five and ten. Denmark’s Thornbjorn Olesen and 2011 US PGA champion Keegan Bradley matched Woods’s six-under round to move to eight and seven-under overall respectively. England’s Ian Poulter moved up the standings with a two-under round taking him to five-under and a share of 14th place, while European Ryder Cup team-mate Lee Westwood is out of the running on two-over-par.